LKQ announced Monday it would sell off what appears to be its sole OEM manufacturing business to windshield competitor Vitro for $310 million. LKQ bought Pittsburgh Glass Works for $635 million earlier this year, describing it as the No. 1 supplier of OEM automotive glass and the No. 2 supplier of aftermarket imitations. On Monday, it and Mexico-based Vitro announced LKQ would keep PGW’s aftermarket glass segment and sell the OEM portion. Vitro said it would pay $80 million in cash and borrow $230 million from BBVA Bancomer to finance the deal. For that money, Vitro gets seven manufacturing plants in the U.S. and one in Poland, two satellite sites and two float glass furnaces in America. It also gets an equity share of Chinese and North American joint ventures. Vitro didn’t provide specific numbers for PGW’s 2015 sales and EBITDA, lumping it into a pro forma estimate that combined both PGW’s OEM wing and PPG’s flat architectural glass segment, which it also bought recently. Together, the PGW and PPG segments would have meant $2.2 billion in revenue and $378 million of EBITDA. LKQ in February estimated that as of Oct. 31, 2015, all of PGW posted an estimated $1.07 billion in revenue and $105 million in earnings before interest, taxes, depreciation and amortization. Shares of Vitro were up 3.5 percent to $2.92 as of 1:01 p.m. (Quotes are delayed.) LKQ shares were down 1.45 percent to $31.96 at 1:31 p.m.
LKQ demonstrated bullishness on aftermarket glass not only by keeping its imitation glass manufacturing business but also signing a multi-year deal to buy more aftermarket glass from Vitro. Buying aftermarket glass from a competitor isn’t a huge stretch for LKQ or PGW. In February, LKQ Chief Financial Officer Nick Zarcone said that while PGW manufactures all of its OEM glass itself, “less than half” of its aftermarket glass was manufactured in-house. The retention of the aftermarket business and sale of the OEM business is an interesting strategy given the advances in not only OEM glass (including what glassBYTES and PGW have said was Corning-PGW-Ford Gorilla Glass on the GT) but the technology which needs to “see” through it correctly. 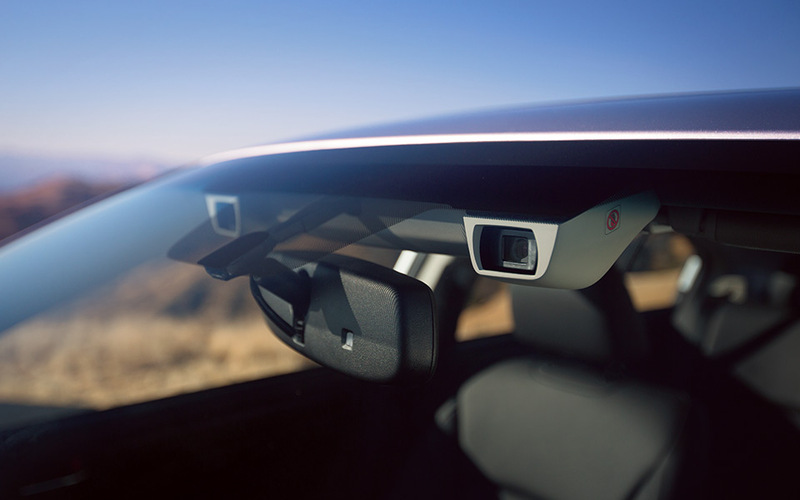 Advanced drivers assistance systems — most notably, the soon-to-be-standard autobraking — and what will eventually be self-driving cars all rely on at least one camera mounted behind the windshield. Aftermarket glass installers have rushed to announce calibration offerings, realizing the necessity of such devices functioning correctly. The United Kingdom’s version of the IIHS, Thatcham, and the country’s largest MSO both declared that OEM procedures should be followed because of this concern. At least one OEM, Subaru, has declared that only OEM glass can be used, according to I-CAR. LKQ CEO Rob Wagman alluded to this technological complexity in February while describing the “attractive barrier to entry” of PGW’s OEM work, particularly as automotive glass continues to innovate with items like heads-up displays, acoustical and antenna features. “The glass is getting much more technical, advanced, and the prices are going up,” Wagman said. 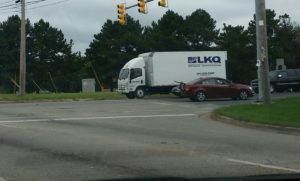 He also said then that he didn’t think the purchase would create a conflict even though LKQ will be supplying automakers with OEM glass while competing with them on aftermarket glass and parts. “We don’t expect any conflict whatsoever,” Wagman said, noting that LKQ already supplied dealerships with paint and aftermarket/recycled parts. It’s also an interesting move given the potential for the technologies to cut crashes and thereby reduce demand for non-OEM parts (though glass is probably always going to be breaking because of comprehensive-type factors like vandalism and stuff flying into windshields). Finally, given Wagman’s statement in February that “there is an insurance play here” with the PGW purpose, there’s the question of whether insurers — an indirect source of LKQ sales — or OEMs will control the body shop recommendation process in the future. Telematics might give either industry an opportunity to direct collision repair traffic to different networks of auto body shops.